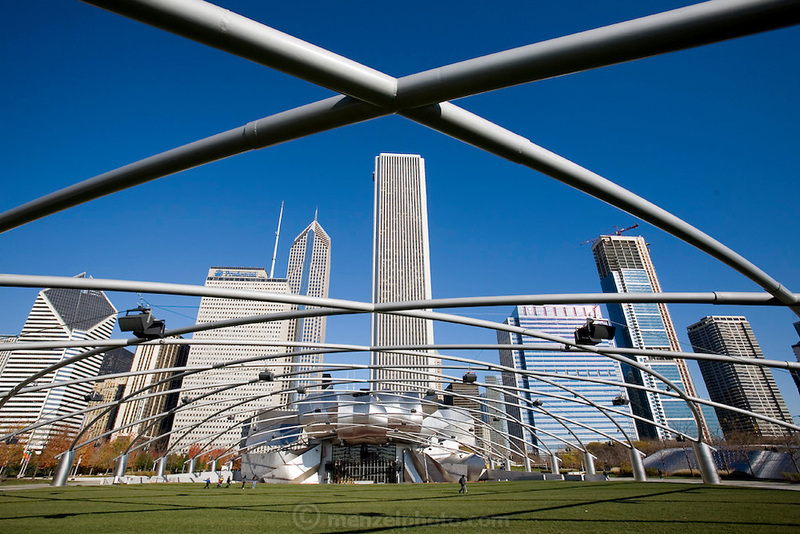 View through the trellis structure in front of the Frank Gehry-designed Jay Pritzker Pavilion in Millennium Park, Chicago, Il. USA. And downtown cityscape.